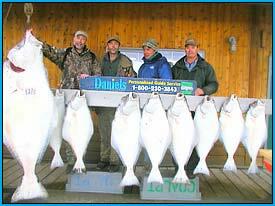 Homer Alaska salmon and halibut fishing with Daniel's Personalized Guide Service. 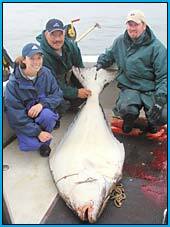 Custom salmon fishing charters and salmon / halibut combos. 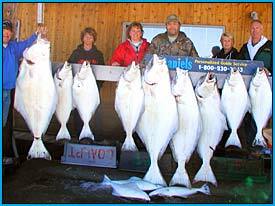 Winter King salmon charters our specialty. 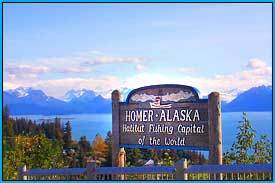 Homer's nickname is the "Halibut Fishing Capital of the World". There's a good reason for it. 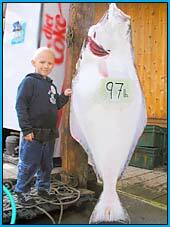 Halibut are usually targeted from around April to November but can be caught year round with the exception of the month of January when the season is closed. Their average weight is 20 lbs. but may get as large as 300-400 lbs. 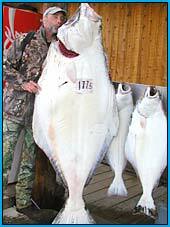 The limit for halibut is 2 fish per person per day. Daniel enjoys fishing for halibut a little differently than a lot of the rest of the fleet. 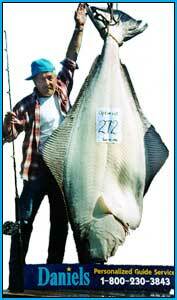 He fishes for halibut in shallow water and prefers lighter tackle. 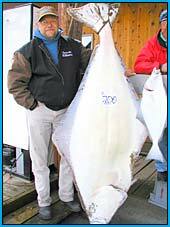 Depending on what the client wants, Daniel can either fish in water 100-200 ft deep, where there's more action but the average size may not be as big, or he can fish in the shallow waters of the kelp (20-100ft) where there may not be as much action but when you get a halibut it's probably going to be pretty big. 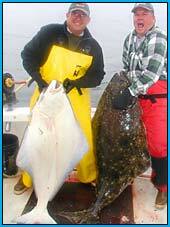 Every year his clients catch numerous halibut over 100 lbs, a few halibut over 200 lbs and even has had a 300 lb halibut. 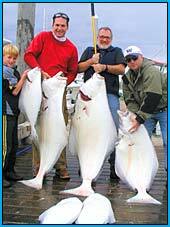 It's a pretty great way to fish for halibut and the running time is usually no more than 1 hour each way.